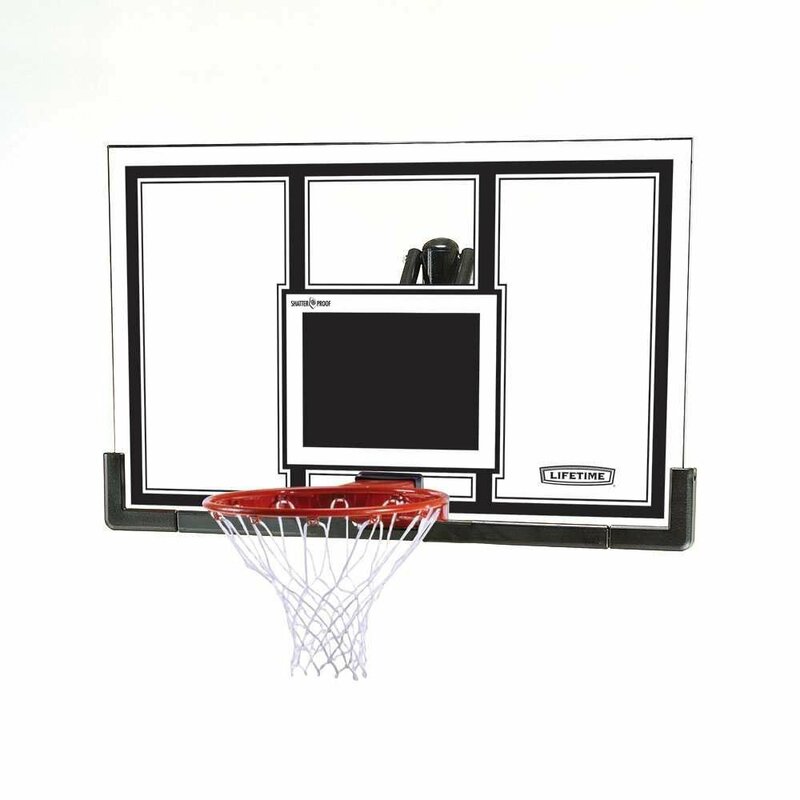 The Lifetime 71526 is a wall mount basketball hoop system which features a 54 inch shatter guard backboard with UV protected prints for resistant color and a protective pad underneath. The frame is built with high quality steel and is protected from rust by a black hammertone powder coating. The Arena-Style Slam-It Pro rim features double compression springs. It is backed by a 5 year warranty from Lifetime. Installation is pretty straight forward although the instructions that come with it are a bit confusing. This is a very heavy backboard so you might want to enlist the help of another person when putting it together. 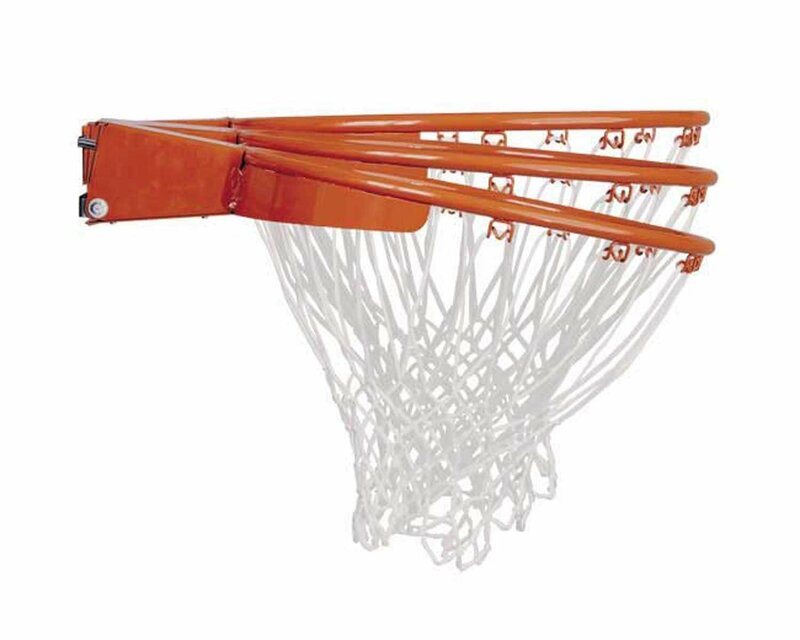 As for all wall-mount basketball goals, this can be installed in a wall, roof, or pole. The build quality is nice although do not expect professional grade quality here. The backboard is made of acrylic, so it does not have the same bounce as that of glass. It is quite thin but it does its job. There will be some movement, especially after some strong shots of the backboard, but it is minimal and will also depend on the strength of your mount. The frame is sturdy and the rim is also high quality. Overall, for its price, the Lifetime 71526 Wall-Mount Basketball Hoop System is a good product, especially for someone on a budget. It may not impress you with professional quality materials and the backboard is a little thin, but if you can live with these shortcomings and see that this hoop is actually value for money, then this should definitely in your shortlist of wall-mount hoops to consider.